Tenessa Tipton is a family nurse practitioner with FirstChoice Family Practice having recently joined the team in September 2016. 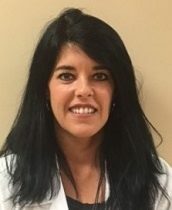 She received her Masters Degree in Nursing from Middle Tennessee State University and continues to build on 21 years of experience in nursing. Tenessa is now beginning the next step of her career as our newest Family Nurse Practitioner. She is born and raised in Elizabethton,TN and is scheduling appointments now at First Choice Family Practice located in Johnson City.